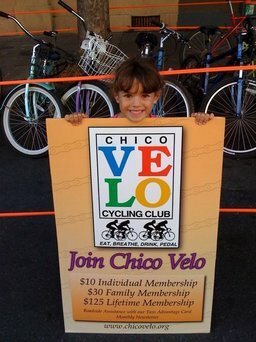 Thinking of joining Chico Velo? We offer individual, family and business annual memberships. Or show your commitment to the cause, and get a lifetime individual membership! Regardless of which membership you select, you'll get great benefits, AND you'll be supporting our efforts to make cycling safer, and encourage more people to bike for recreation, health, fitness and transportation! Download membership form here, or sign up online. Want to get more involved? Volunteer, donate or become a sponsor! Your contribution makes a difference!